I am back in the city (woo hoo!) and spent the day at the Society of Illustrators. It was a day spent with lots of warm, funny, and talented people. 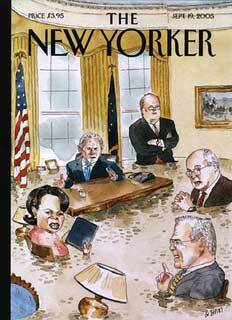 Barry Blitt was a highlight. His illustrations have appeared on the covers of the New Yorker, graced pages of the Chicago Tribune, the New York Times, and Entertainment Weekly. He has also illustrated several children's books. He has the kind of (strange) humor I love. 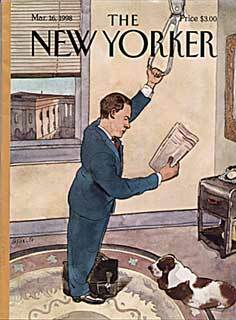 Here are two of his New Yorker covers for Two for Tuesday.